CyberTrend is a fully automatic Expert Advisor based on advanced algorithms for short term trend prediction. 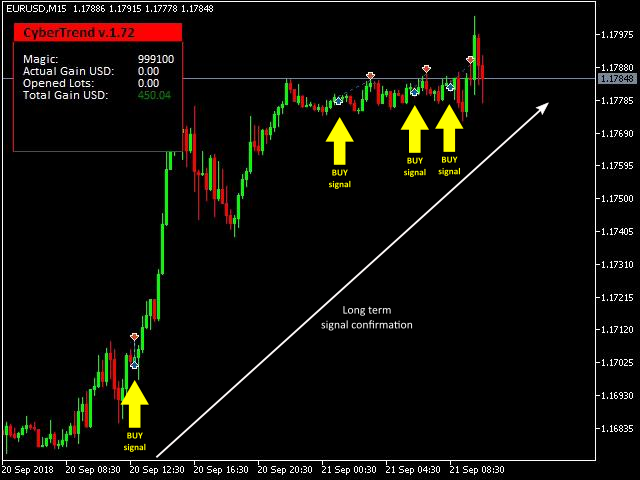 This EA uses several custom made indicators combined with candles prediction that helps to achieve a very high-rate of winning trades. 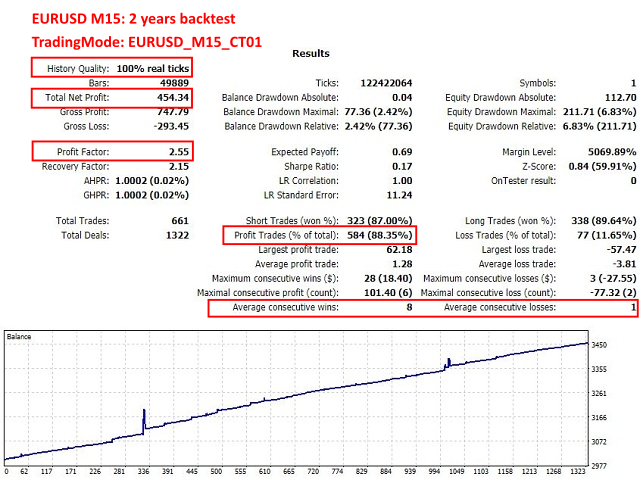 This EA successfully passed long term back-test with real tick data, variable spread, real commision and swap from Metatrader 5 Strategy Tester. CyberTrend is also fully adjustable by user. Please read the blog to get more information about FAQ and settings parameters. 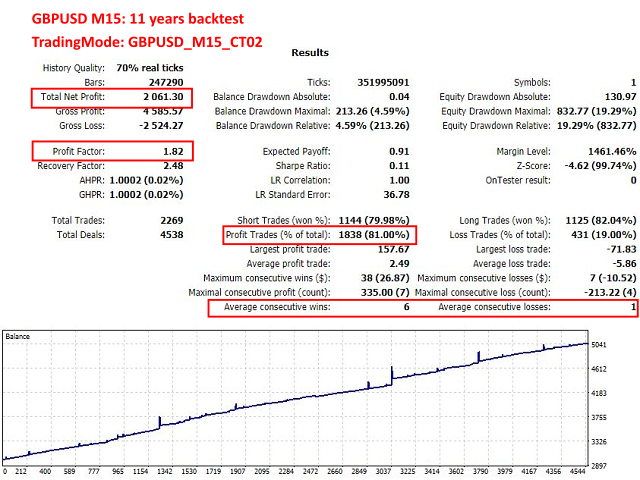 ECN broker is always recommended for automated trading (but not limited to other brokers). 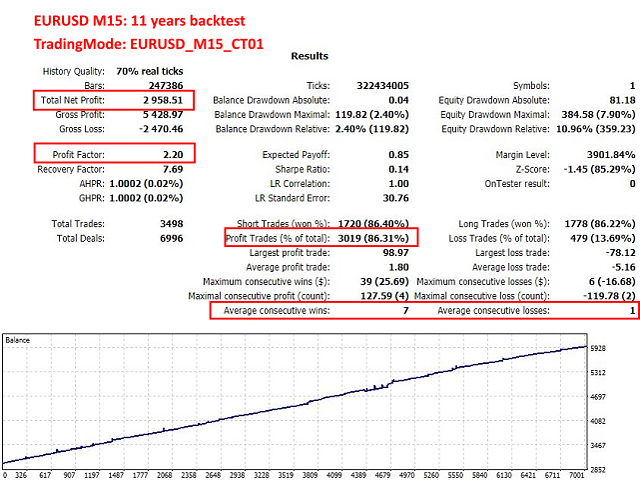 TradingMode - Pre-optimized trading modes. If you want to trade own settings in Strategy Settings section set TradingMode to "Custom"
Note: Whole Strategy Settings section has effect only if TradingMode is set to "Custom"
News filter never works in back-test ! !